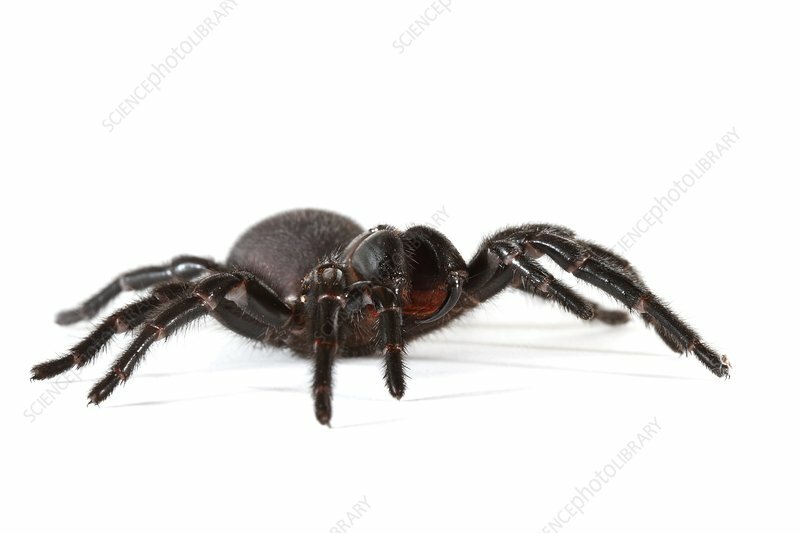 Australian funnel-web spider (subfamily Atracinae). The venom of some species of funnel-webs is very potent and bites can be fatal to humans. Symptoms include goosebumps, convulsion, sweating, impaired vision and raised intracranial pressure that can lead to death. Males tend to wander looking for females and often end up in people's homes.